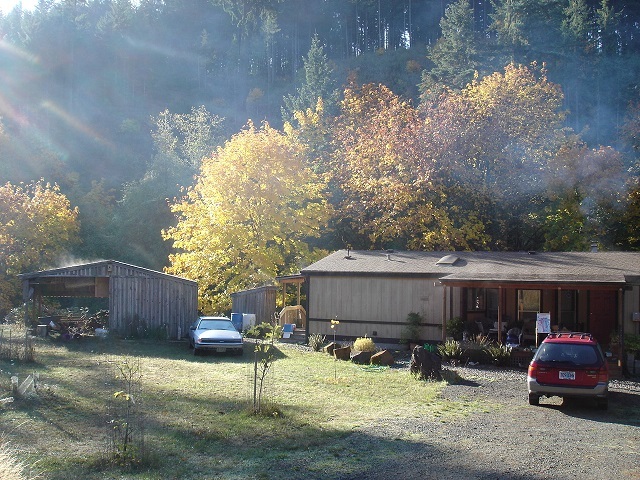 House across part of the meadow. 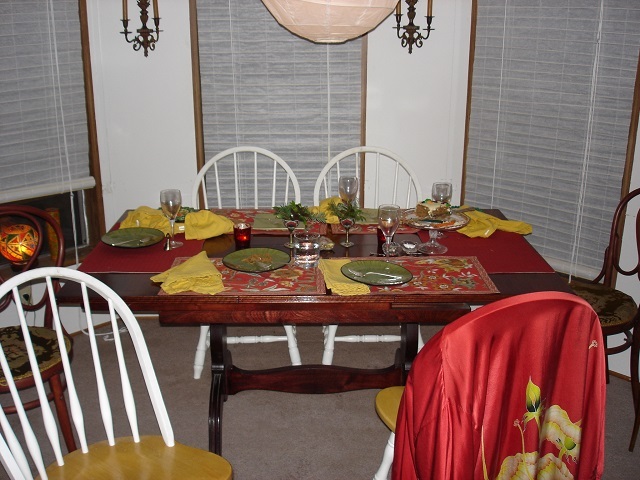 Dining alcove as now decorated. Looking out one of the two sets of windows in the master bedroom suite as currently renovated. 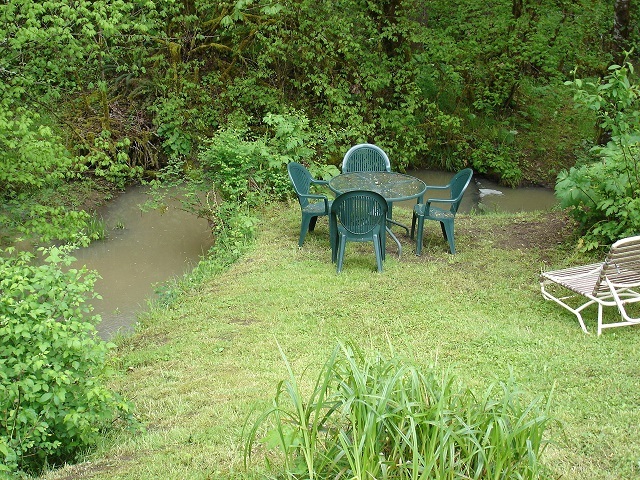 Lower terrace next to the swimming hole in the creek. There is a tent site just to the right of this picture. Looking back toward the 120 ft high grand fir from the other side of the swimming hole. The swimming hole next to the rain forest in fall. The edge of the tent site terrace can be seen at the bottom right of the photo. 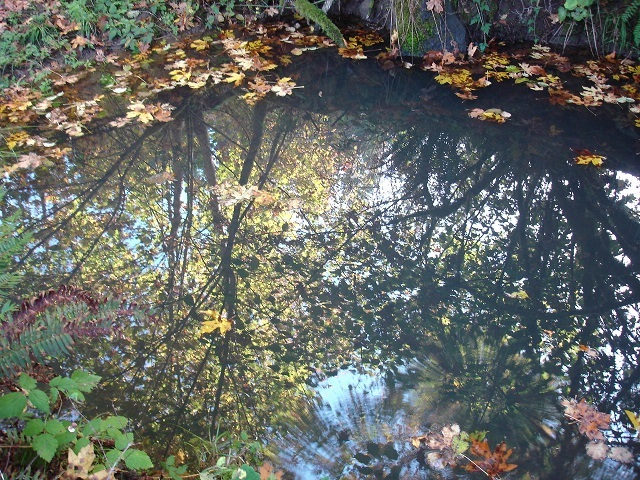 Another view of the swimming hole in fall. just the place for a nap on a hot summer afternoon. 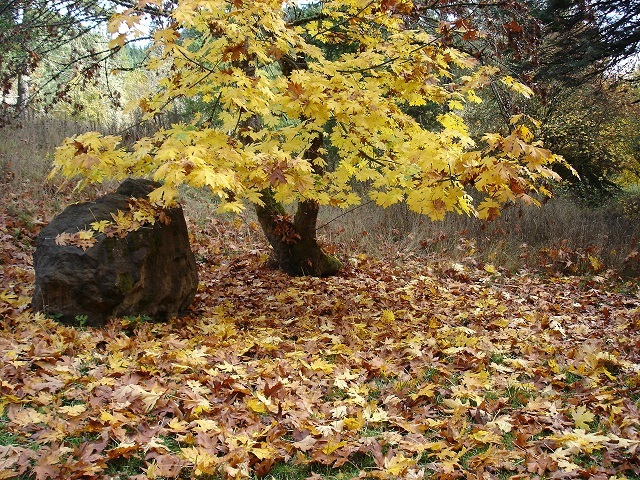 Fall leaves on a lower terrace close to the creek. 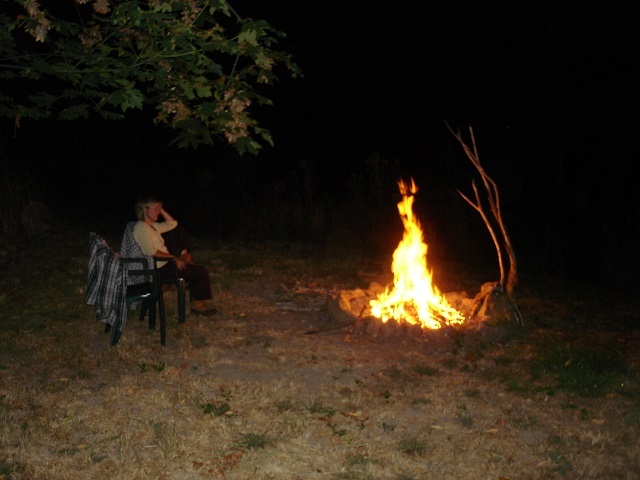 The five foot wide stone ringed fire circle on a lower terrace. The old growth "Mother Tree" (150 ft tall crag top Douglas Fir ). 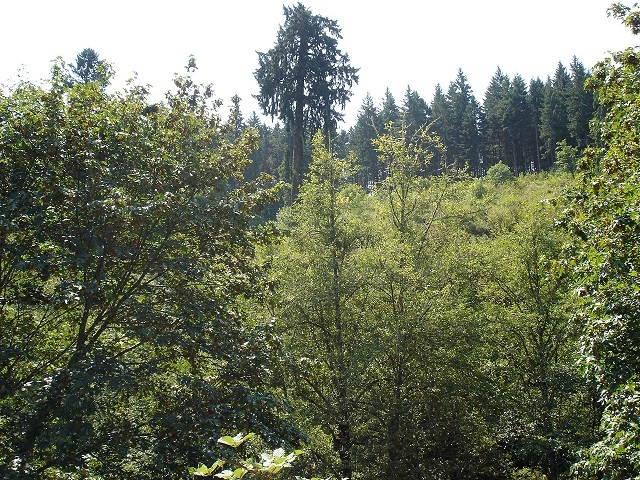 at its base, and is the last remaining old growth fir in Fox Hollow Valley. 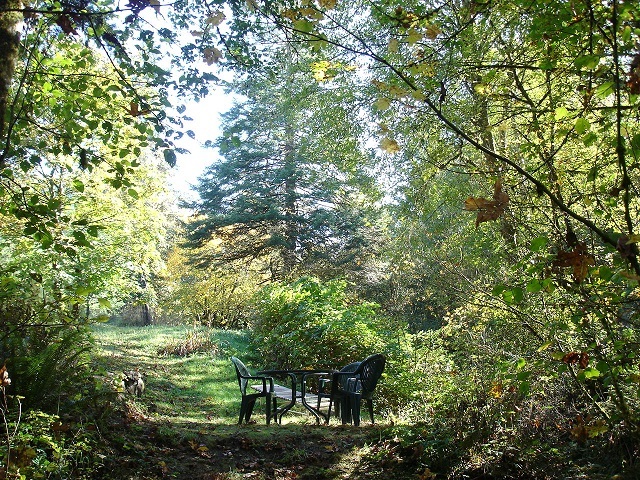 In a forest clearing on the hillside. Morning ice on the roof of my car. Fire in the wood stove in the living room. Piano to left of last photo. 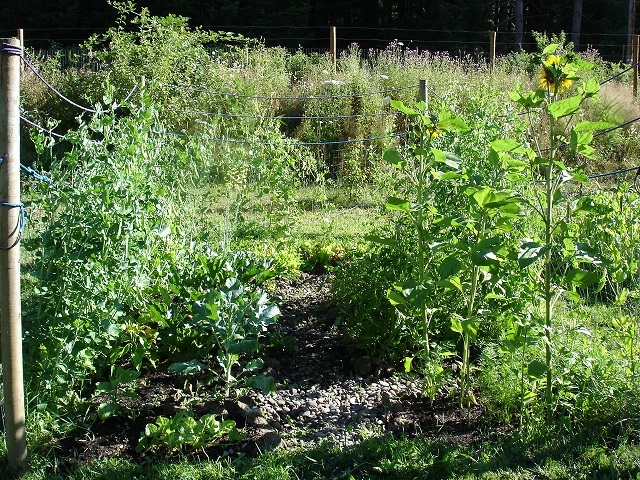 Organic vegetable garden. Snap peas on left, sunflowers on right. 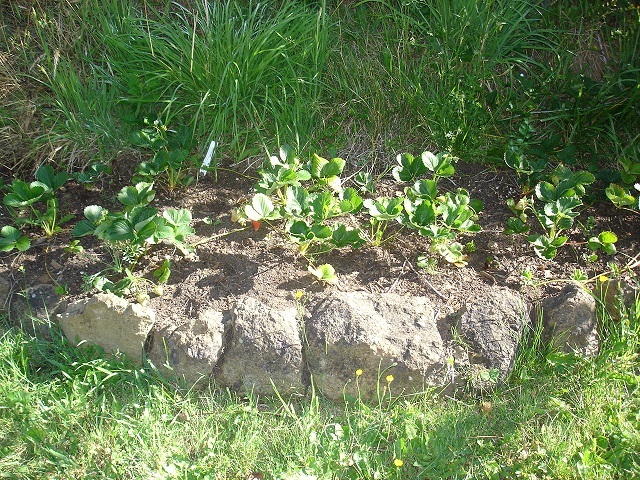 Strawberry patch under the fuji apple trees at either side of it. Cherry tree in spring, showing the swing under it. Front gate with gate opener powered by solar panel on gate post and batteries at its base. 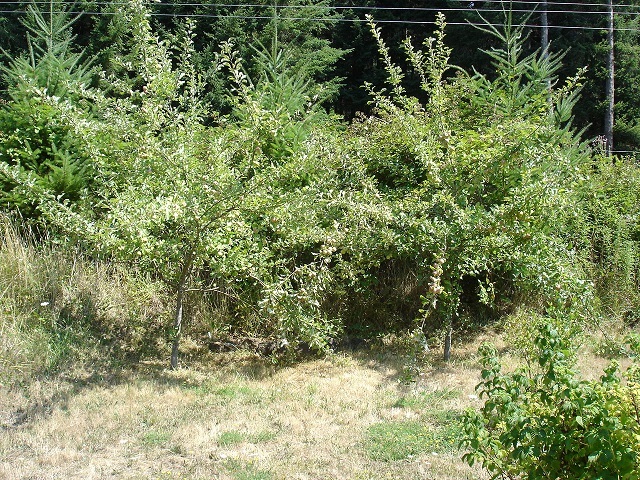 Fuji apple trees heavy with a crops of little green apples that will be big and red in fall. 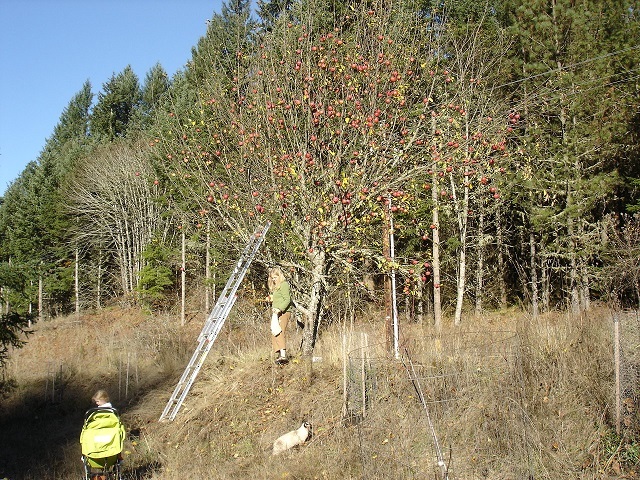 Large apple tree on berm. Meadow with grape vines, some of the blueberry bushes and cherry trees. 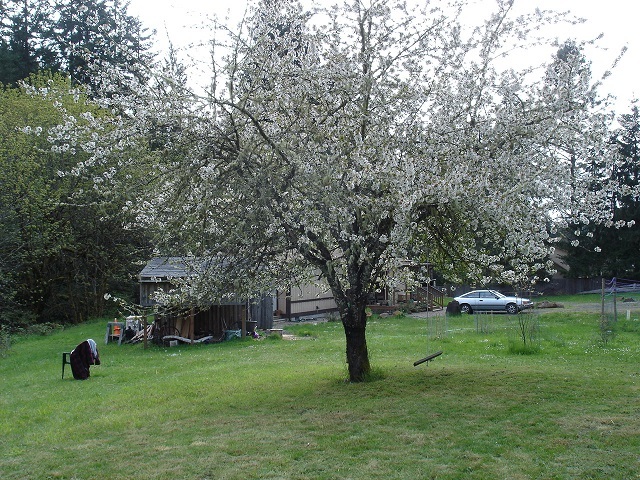 The deer fence can be seen behind the large cherry tree. opening out on to the terraces dropping down to the creek and swimming hole.